Once logged into your router click on the "Applications & Gaming" tab. 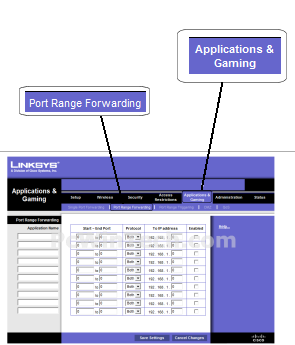 Normally 'Port Range Forward' is chosen by default, if not click it. Under 'Application' Give your entry a name, it must not be the same as any others on this page. 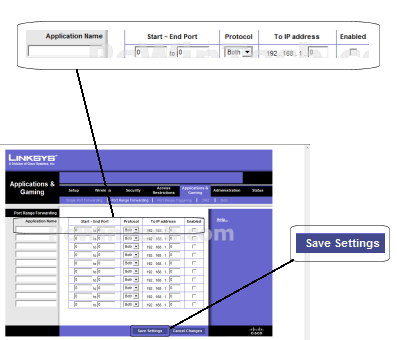 In 'Start' & 'End' enter the ports to be forwarded. Next select the protocol for the ports. 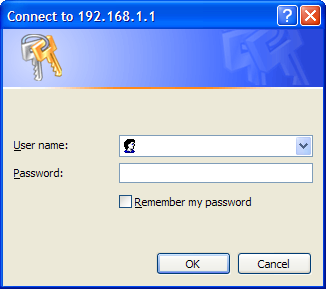 In the 'IP Address' field put the local IP of the computer the ports will be forwarded to. On 'Enable' make sure to check mark it.